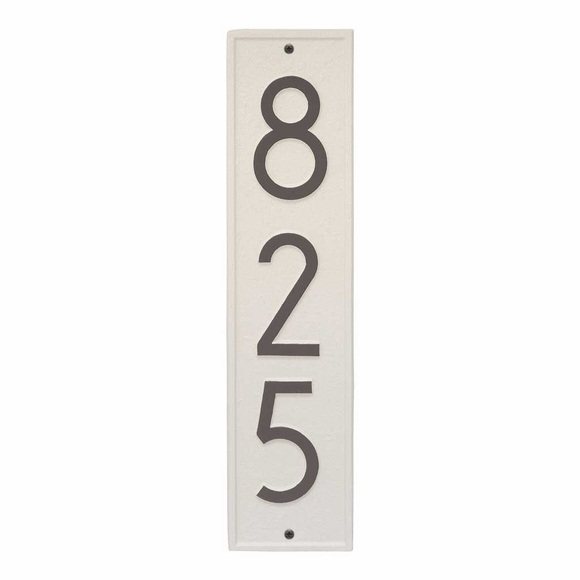 Vertical Address Plaque Modern Font - - meets 911 codes. Crisp Modern Font 4" numbers are easy to read. Wall mount. Made in USA. Dimensions: 4.25"W x 17.25"H x .325. Vertical Address Plaque meets 911 codes. Crisp Modern Font 4" numbers are easy to read.